Its origin goes back to the very former times. In addition to being a pure and natural kind of cat, Angora cats are regarded as one of the national treasures of Turkey. Angora cat is originally a long-haired cat. Angora cats still maintain their lives in the villages and in the rural areas of Turkey with almost no change for centuries. Angora cat, which was formerly known as ‘Angora’ and firstly appeared in Ankara, is known as the first long-haired cat seen in Europe. It is thought that these cats were brought to Europe by Vikings in the early years of the 10th century and therefore, they are the ancestors of today’s long-haired cats. The origin of Angora cats estimated to trace back to Manul Cat which were brought along by Tatars while immigrating into Turkey. 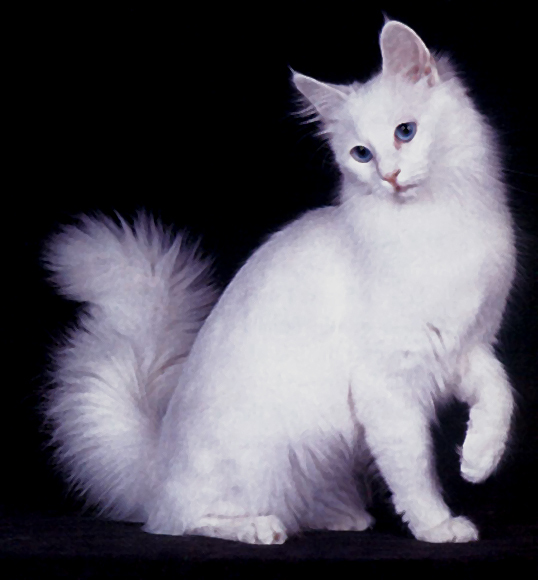 Angora cats are cats which are very clever, brave and loyal to their owners, social and playful. When compared to their cousins which are quite naughy (ill-tempered), these cats are generally good-natured. Due to the geographical location where they live, they do not like water a lot. 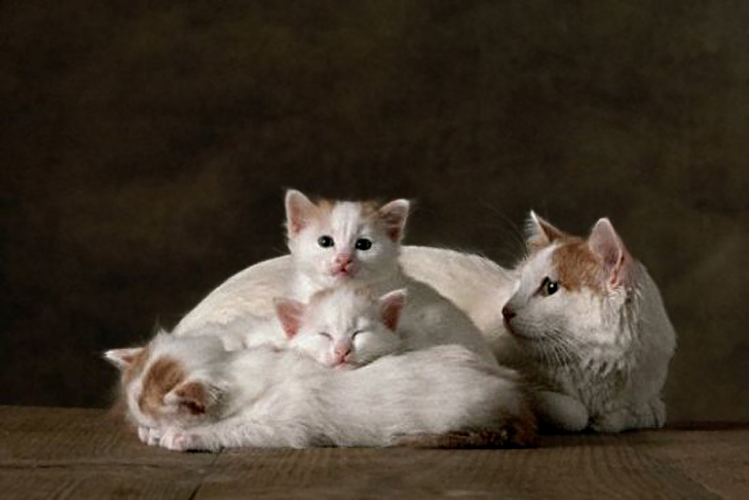 Angora cats want to be together with their owners at every spot of the house and at every moment of their lives. These cats have a deep respect to the person with whom they live together, and they like to feel the same love from the opposite in return. They do not experience any problem in their reproduction. In addition to being clever and agile, Agora cats are also observed to show bad temper and get angry. They show very skillful and clever behaviours to make theirs owners do what they want. The body of Angora cats is long. They have long legs, long tail and long, muscled, delicately built body structure. They have a well-proportioned bone structure. Their graceful appearances arouse admiration. Male cats are a little bigger than female ones. Their hind legs are longer than the front ones. Angora cats have small and round paws with short hairs between their fingers. The length of their hairs depends on the season. They have big and almond-shaped eyes. Their eye colours can be copper, blue, green or hazel. They have big and spiky and upright ears. Their noses are in middle size. They usually keep their tails on the body level while walking.